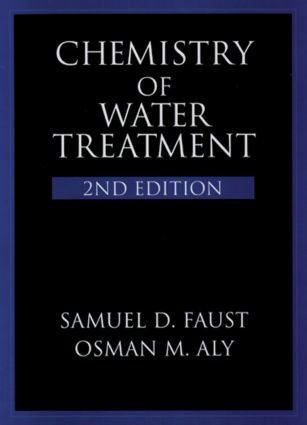 This second edition demonstrates how chemistry influences the design of water treatment plants and how it should influence the design. Historically, water treatment plants have been designed from hydraulic considerations with little regard to chemical aspects. The many chemical reactions used for removal of pollutants from water simply cannot be forced to occur within current designs. This book re-examines this traditional approach in light of today's water quality and treatment. Will current water treatment processes be sufficient to meet future demands or will new processes have to be devised? Chemistry of Water Treatment assesses the chemical and physical efficacies of current processes to meet the demands of the Safe Drinking water Act, providing expert information to persons responsible for the production of potable water into the next century. "…Provides a wealth of information…an ideal reference book…"
"…Excellent and very highly recommended…"
contains valuable information…useful to water and wastewater professionals…an excellent source for readers who want to understand the theoretical basics of water and wastewater treatment. "-Claire Liu, principal instrumentation engineer at Parsons ES Inc. in Norcross, Ga.